Sew Powerful started their 2015 purse drive back in July. The drive runs until October 1, 2015 but purses will be accepted after that date. 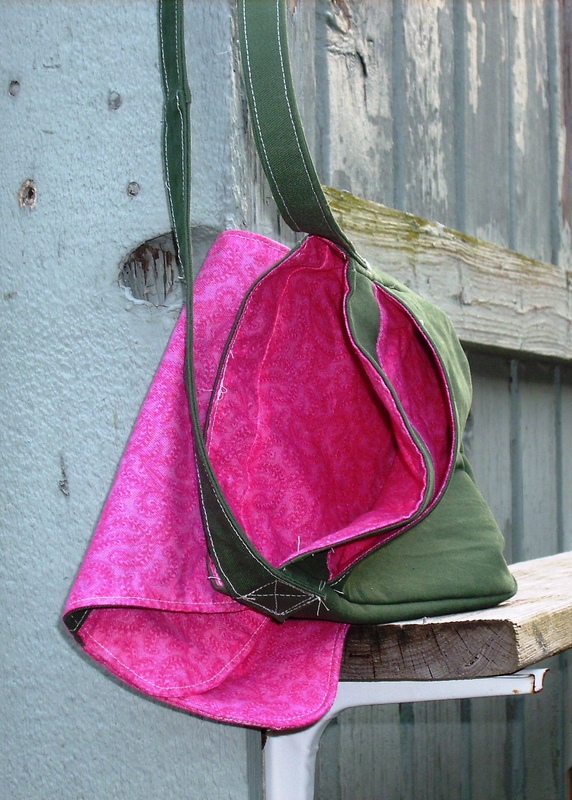 In case you haven’t heard about the Sew Powerful purse drive, you make a purse using the pattern provided for free from the Sew Powerful website and mail it in to the address provided. Ok, that is the case simplified. But it is what happens after you mail in the purse that is the most important. Those purses collected are sent to Lusaka, Zambia. The purses are part of the menstration hygiene management program. 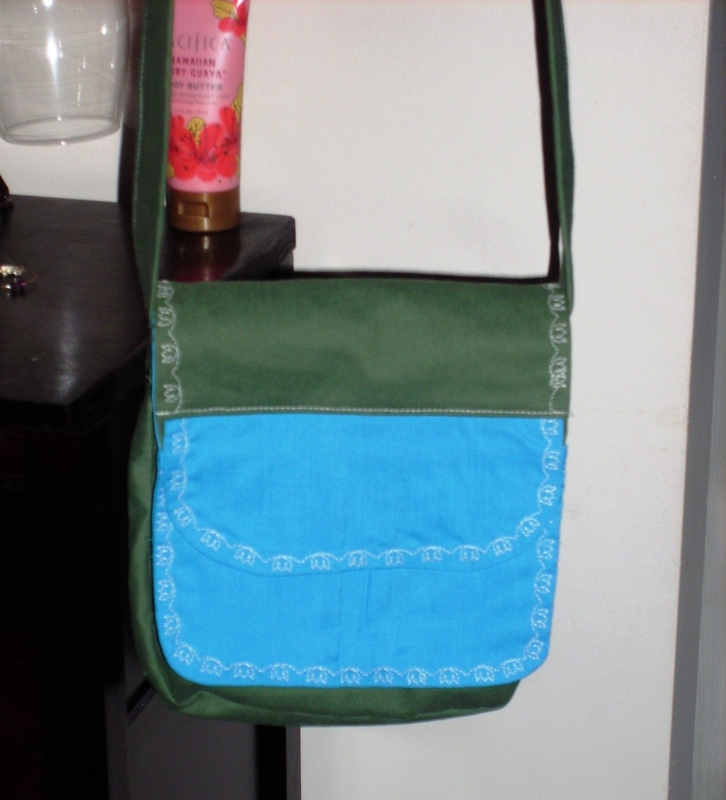 The purses get paired with re-usable sanitary pads and distributed to girls needing the supplies. Without these supplies the girls would miss school at those times of the month. 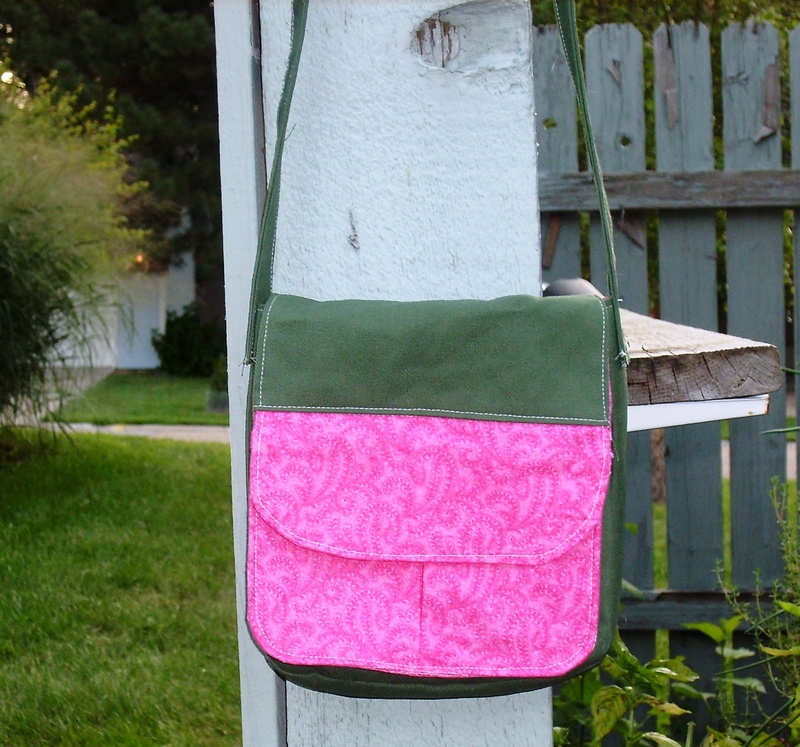 A simple purse is able to help a girl get a better education. 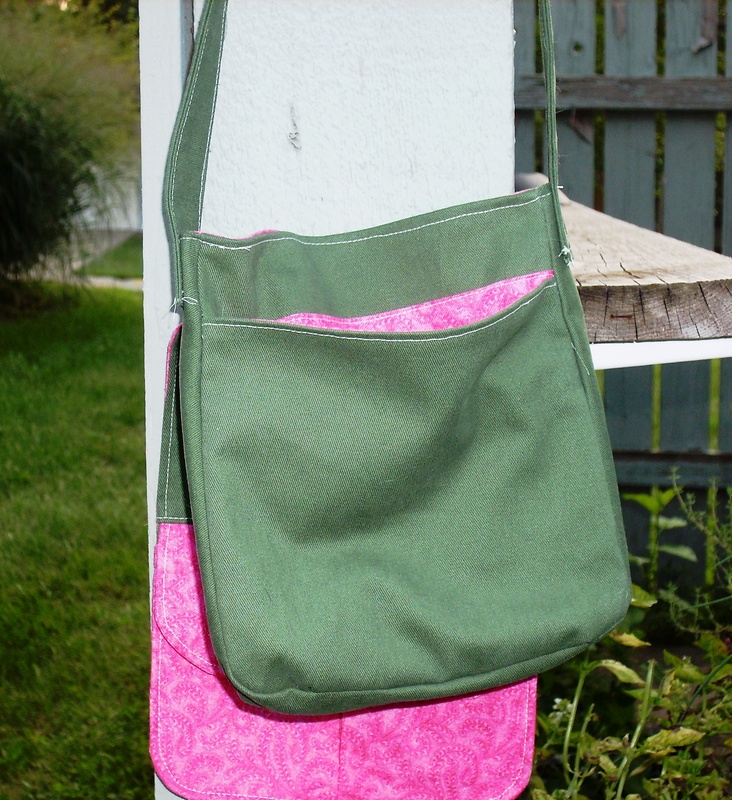 Here is the purse I made using 2015’s purse pattern. I made view A (the purse on the pattern cover). 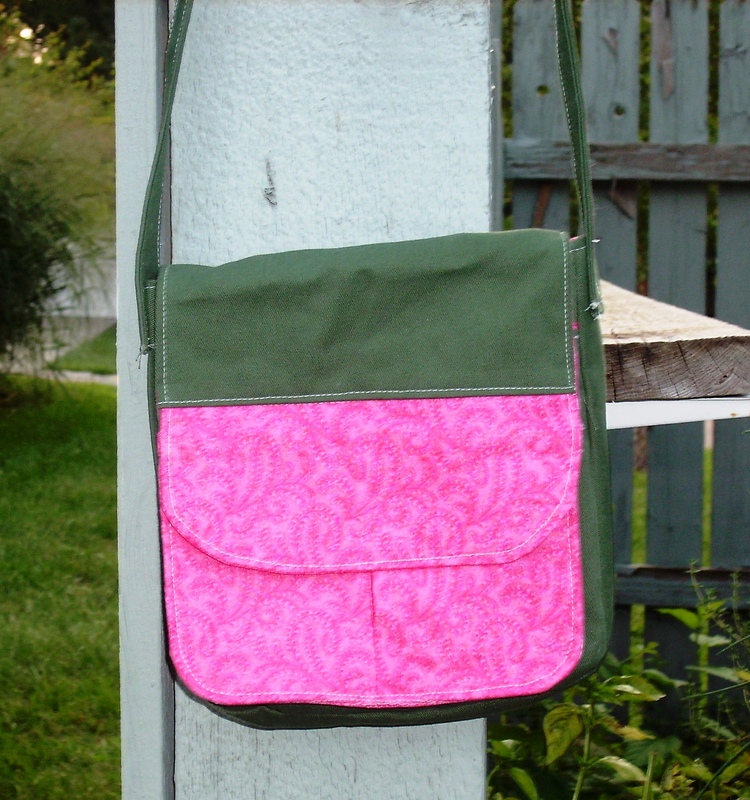 I used an olive-green cotton twill and pink quilting cotton. This went together in about 4 evenings (probably about 2 hours each evening). Being completely honest, there isn’t much difference in the pattern pieces from 2014 to 2015. Main difference is the front flap pocket. I think the biggest improvement over last year’s pattern was in the instructions. While I was making the 2014’s purse, I felt lost and like the pictures didn’t really give me the detail I needed to follow the instructions. This year I felt that the pictures complemented the instructions and clarified what was meant. I think the greater contrast between pieces and some of the photos were closer up than before. The instructions are also formatted better so that information isn’t lost in the instructions. Please go check out Sew Powerful. The priority deadline is Thursday October 1, 2015. They will still accept purses after that date. 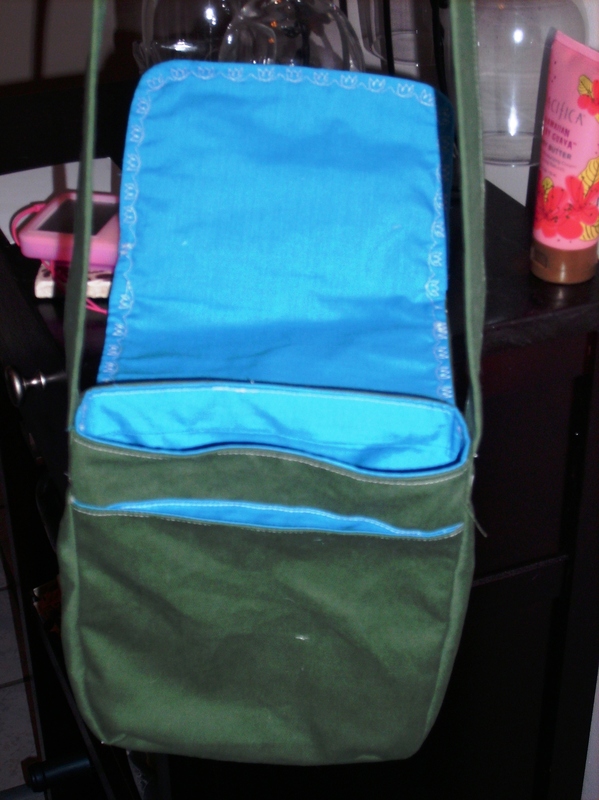 Here is the second purse I made. My friend Betsy from the KC Pinheads group (a bunch of Kansas City area sewing enthusiasts that get together for lunch and talk sewing) made a couple of purses also for this project. 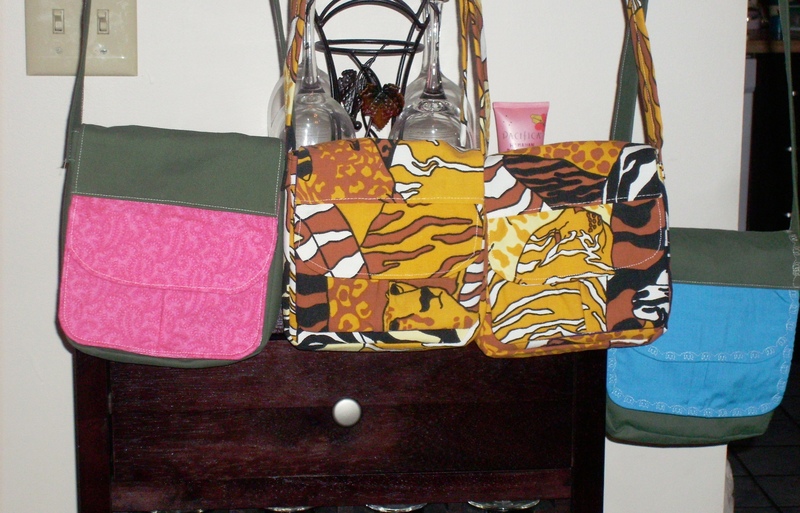 So here is the picture of all four of the purses together before I mailed them off to Washington last week. 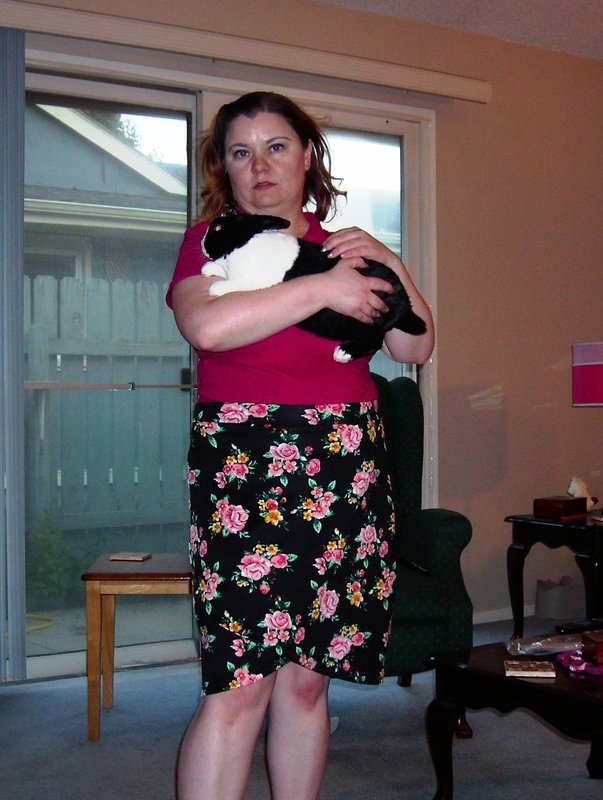 This is another one of the Keeper Dolly Duds for Simplicity patterns. This is the second one I have used. 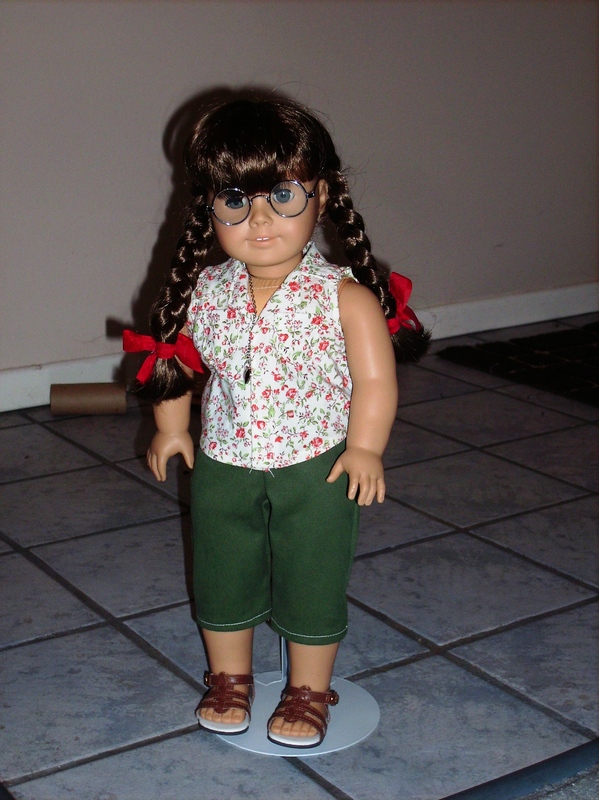 There are four out I think: one for Civil War era, one at early 1900s (aimed at Samantha and Rebecca dolls), one for the 1940s (Molly dolls), and this one is the newest aimed at the new American Girl doll set in the 1950s (Mary Ellen) debuting at the end of this month. As always, here is my reminder. 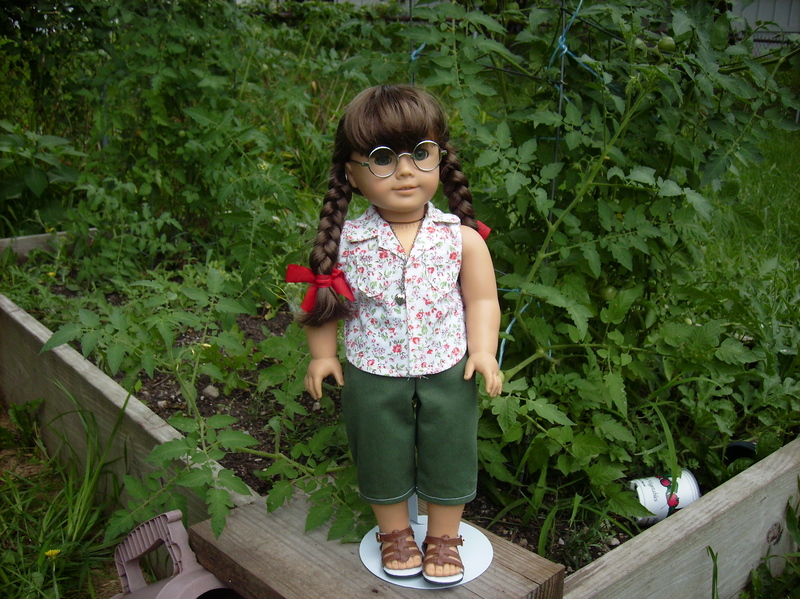 My Molly doll is from around 1993-ish so she is a little larger than the current dolls you can buy today. 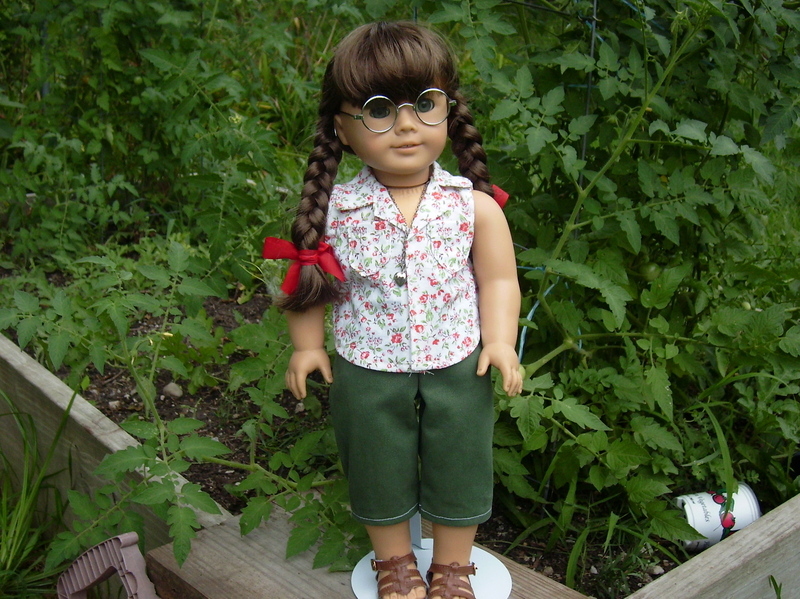 I didn’t make any alterations for size on the patterns and it fits her fine. The top is view F from the pattern which is a sleeveless button down top (which uses snaps to fasten). I absolutely adore the top. It went together so easily. 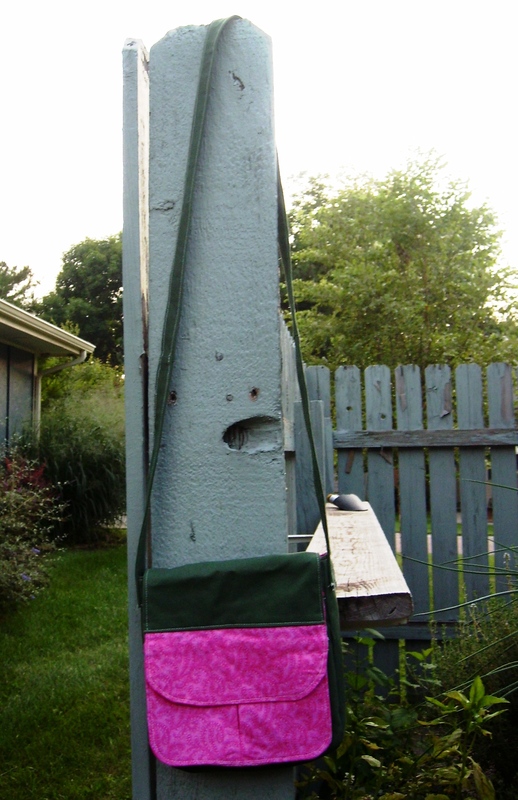 The arm is finished with a strip of bias (pattern piece is provided). I used thin Velcro that I have for the fasten and left off the buttons and snaps. I also lined the pockets so I wouldn’t have to try to fold under the seam allowance. A quarter-inch is fairly small so lining worked better. I actually finished the Capri pants last month. Molly had to wait until last week for her top. In the mean time she had her Capri pants on with another top I made. I used an olive-green cotton twill for the pants. There are darts on the front at the waist and elastic in the back of the pants. They went together fairly easily. I didn’t add the tie to the waist as the twill is a bit thick. I didn’t notice that the hem was split so that is why she doesn’t have a split hem in her Capri. I think the next time, I may make a little larger hem but that is personal preference. One night I decided that I needed a simple easy project. I decided to try out the recently released Itch to Stitch Lindy Petal Skirt. I went ahead and trace out the Lindy petal skirt. I used the size medium at the waist and waistband and graded out to large at the hips. 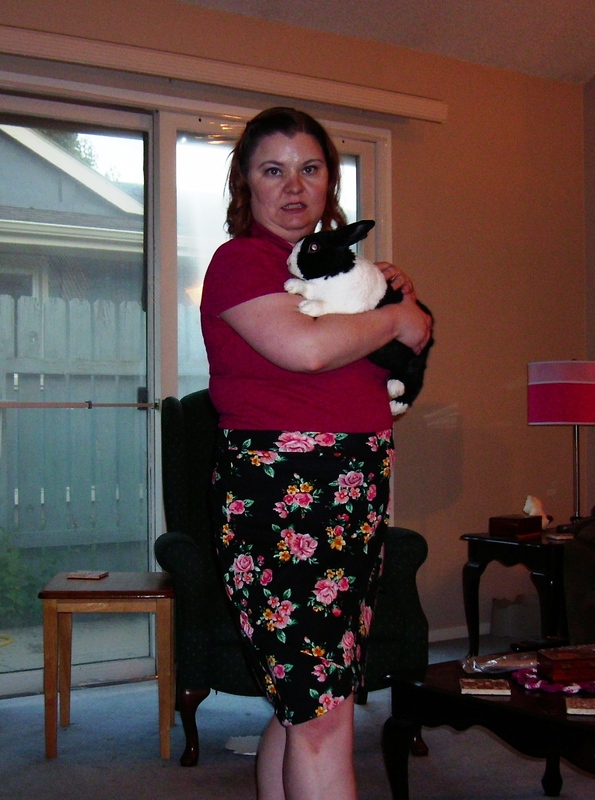 For this skirt I used scuba knit. Scuba knit is a bit thicker than the recommended fabrics. The medium was fine at the waist. However, the large was too big at the hips. 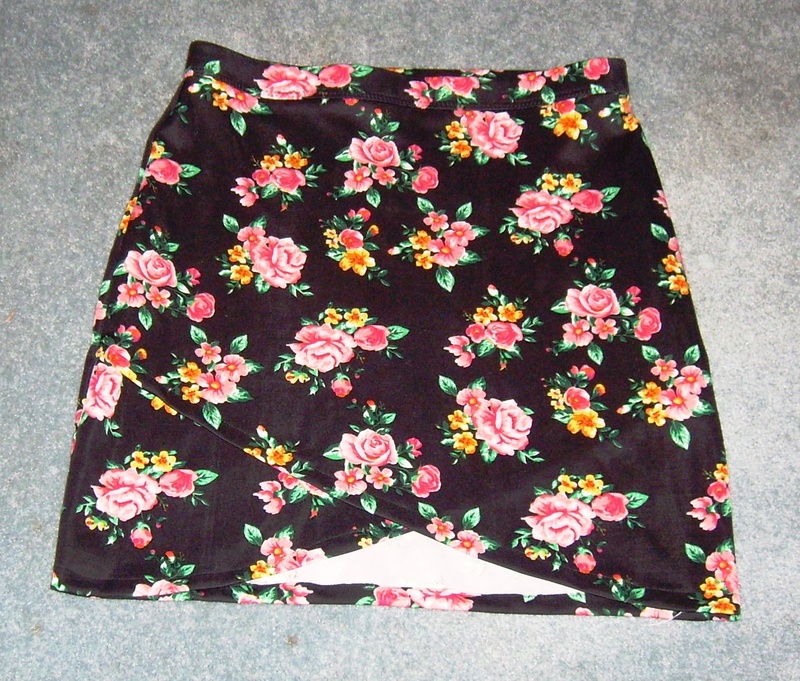 I brought in the side seams at least 5/8 inch (for 2.5 inches total). So I probably ended up at slightly under the medium in size. 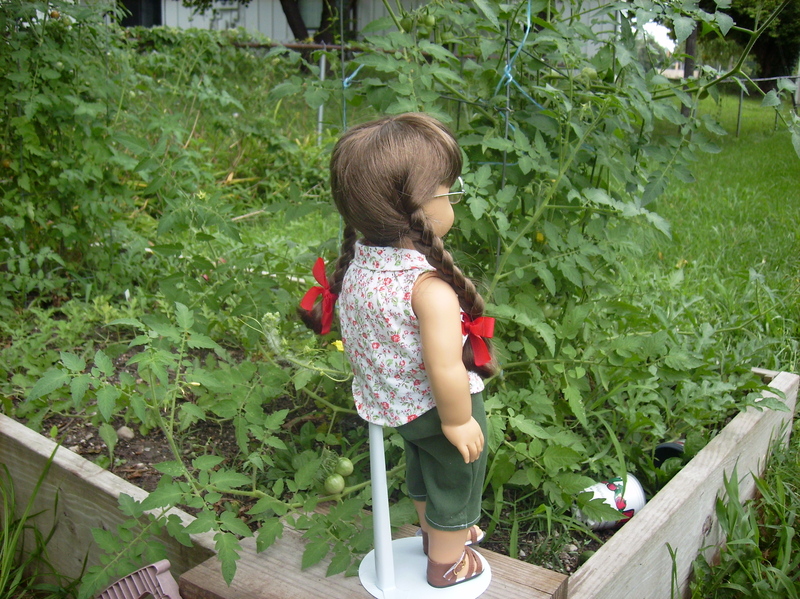 Lindy has an elastic waistband but doesn’t use the casing method for the elastic. I am not fond of the casing method because it always seems like the safety-pin I use unfasten and falls off the elastic or I lose the second end and have to pull it all out and redo it. I am going to call what the Lindy pattern uses as the sandwich method. I felt that the sandwich method was very easy (so much so that I was able to have a nice neat waistband on first try) and produced a nice looking band. I would definitely tell beginners that this is a pattern they should try because of that. 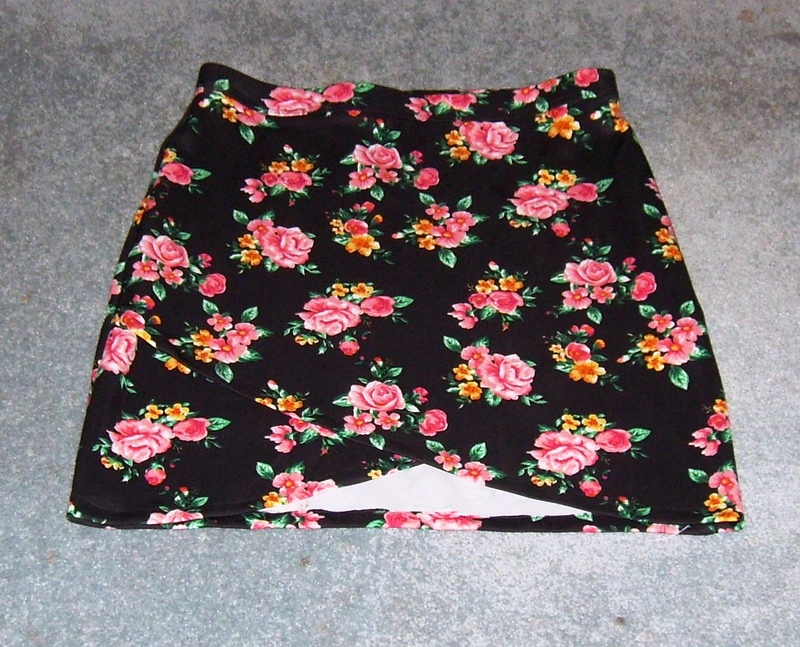 Especially since the sandwich method allows you to try the waistband on before adding it to the skirt. The only thing I didn’t like about the waistband was the tacking it at the sides. I wonder if that was because of the scuba knit though. My fabric was fairly squishy so I think my machine didn’t sew those bar tack stitches as well. I decided to go ahead and zig-zag stitch the bottom of the elastic waistband closed instead. Advice for those who decide to do this, use a smaller width zig-zag. I used the wide stitch I used to put the elastic on the waistband to close it also and that is fairly noticeable. 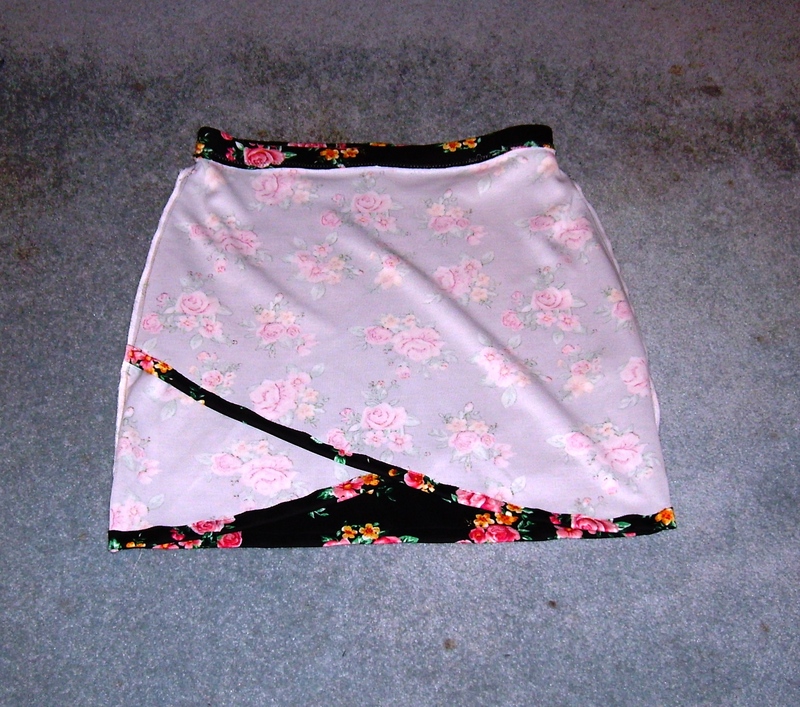 My Lindy Petal Skirt has been done for about 2 to 3 weeks. I have worn it several times and it does look long. I think next time I should shorten the pattern at least an inch to get the length to hit me at the place it does on the pattern photo. Also, I would just trace out the plain medium for the size.